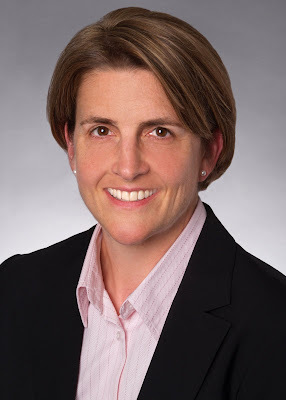 Kelly Burris, a shareholder in the Ann Arbor office of Brinks Hofer Gilson & Lione, one of the largest intellectual property law firms in the U.S., is set to participate in the Air Race Classic, an all-female aviation race that dates back to 1929 and the era of famed woman pilot Amelia Earhart. The race route covers approximately 2,400 miles and will be held from June 23-June 26, 2009. Ms. Burris, who competed in the 2008 Air Race Classic, will fly from her Oakland County base today to the race starting point in Denver, Colorado. The race will finish in Atlantic, Iowa, where the top ten winners will split a $15,000 prize. Ms. Burris will be piloting her 1962 Beechcraft Debonair airplane, which is affectionately known as “The Deb.” 34 teams are registered to participate in the Air Race Classic and Ms. Burris is on Team #7 with co-pilot, Erin Recke of Bellingham, Washington. Her participation in the Air Race Classic combines Ms. Burris’ love of flying and competition with the ability to raise money for Air Charity Network, a charity that matches people in need with free flights and other travel resources. She has been a volunteer pilot with Angel Flight Mid-Atlantic and Angel Flight Central, members of the Air Charity Network, since 2004. Ms. Burris, who raised approximately $12,000 in the 2008 Air Race Classic for Air Charity Network, aims to raise more than $25,000 this year and has enlisted the assistance of the Angel Flight Central member organization throughout the race route to promote the charity to communities along the route stops. Every dollar raised by Ms. Burris will be donated directly to Angel Flight Central; no donated monies will be used to offset the expenses Ms. Burris incurs to compete in the race. A pilot since 1984, Ms. Burris learned to fly at Western Michigan University while pursuing her bachelor’s degree in aeronautical engineering. Prior to attending law school, Ms. Burris worked for more than 11 years as an engineer in the aviation industry. As a practicing attorney, she has handled hundreds of patent issues involving aviation and often uses her plane for business purposes. Air Charity Network (http://www.aircharitynetwork.org/) is a national network of several independent member organizations arranging free flights of hope and healing by transporting children and adults in need.